Verona Tours Include: Our guided Verona tours include private transportation, service of your English-speaking tour guide, taxes, tolls and parking, and services of a special local tour guide in Verona for historical sites. 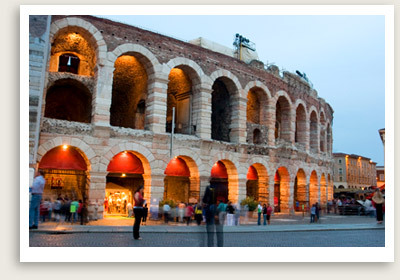 Departure Point: This tour is offered for those staying in Verona. Your Verona tour guide will take you on a private guided tour of Verona, the most well-preserved Roman city in Italy after Rome. You will drive north of Florence and take the Autostrada crossing the Appennini mountains toward Bologna, the capital of Emilia Romagna. You will see the landscape transform as you arrive in the largest and most important agricultural valley of Italy, the Pianura Padana. An amazing city in every sense, Verona has luminous marble monuments that date back two thousand years. The city’s sights include a famous Amphitheatre and Roman Theatre; Ponte Pietra, a centuries-old Roman bridge built over a natural ford; Gavi’s Triumphal Arch, erected to celebrate one of the most influential families in Verona; and Porta Borsari and Porta Leoni, two monumental gateways that greet visitors and depict the grandeur of the Roman empire. You will tour Verona with a great local guide who will take you on a walking tour of the main highlights of the city along the ancient Roman roads. The fascinating remains of Roman villas and mosaics offer a glimpse of the grandeur of Verona’s Roman past. The Della Scala family who once ruled the city transformed Verona’s appearance forever with its fortifications, castles, palaces, plazas and last but not least, their splendid intricate funerary monuments, the Arche Scaligere. 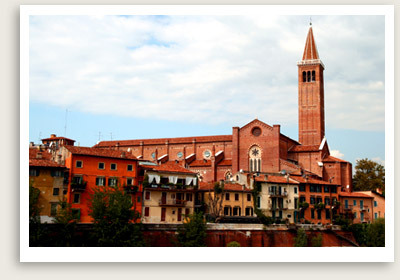 Verona is also famous as the setting of Shakespeare’s Romeo and Juliet. You may visit Juliet’s house and the famous balcony. 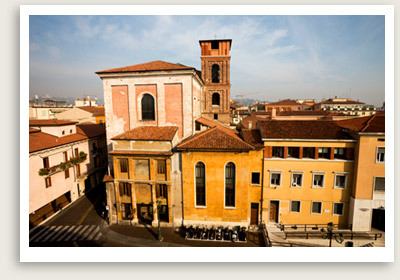 Beyond its historical features, Verona has beautiful modern shops, restaurants and cafes you can enjoy.